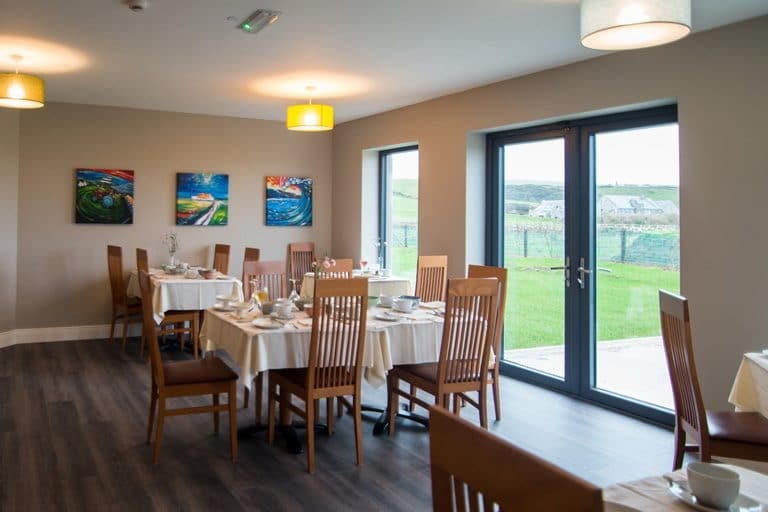 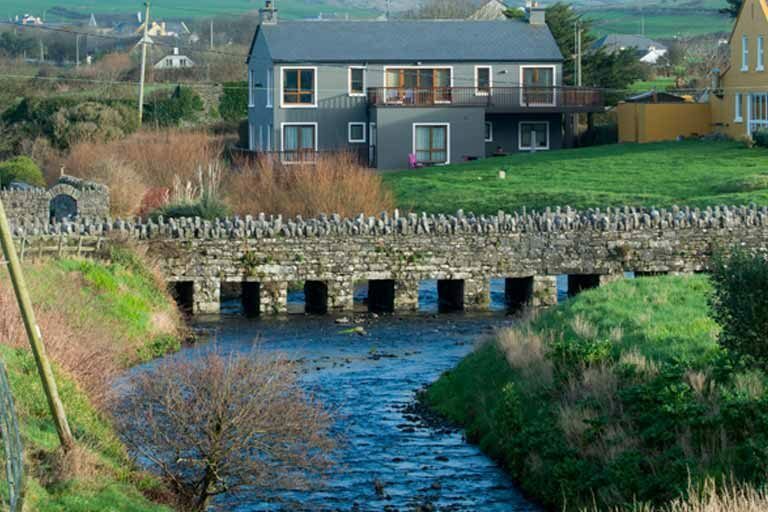 We are located in the centre of the village of Doolin set back from the main road but within easy walking distance of all the village has to offer. 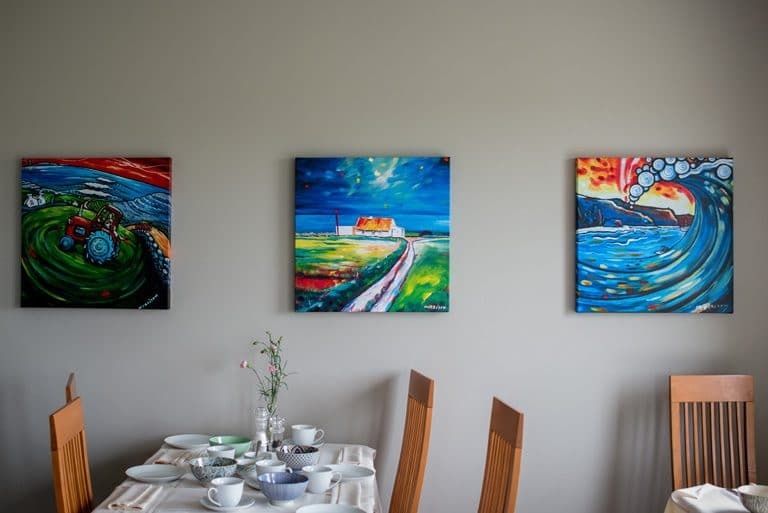 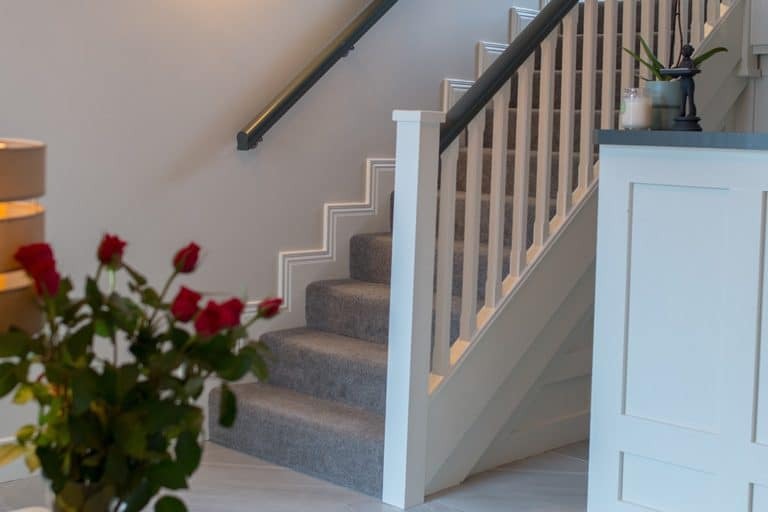 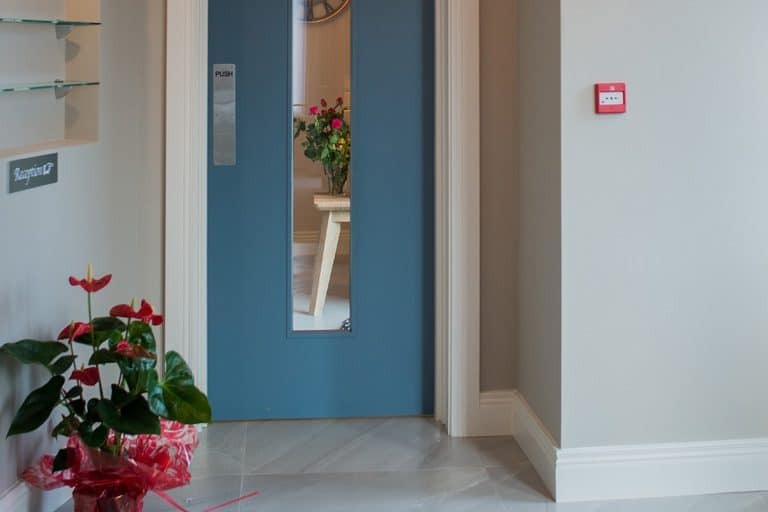 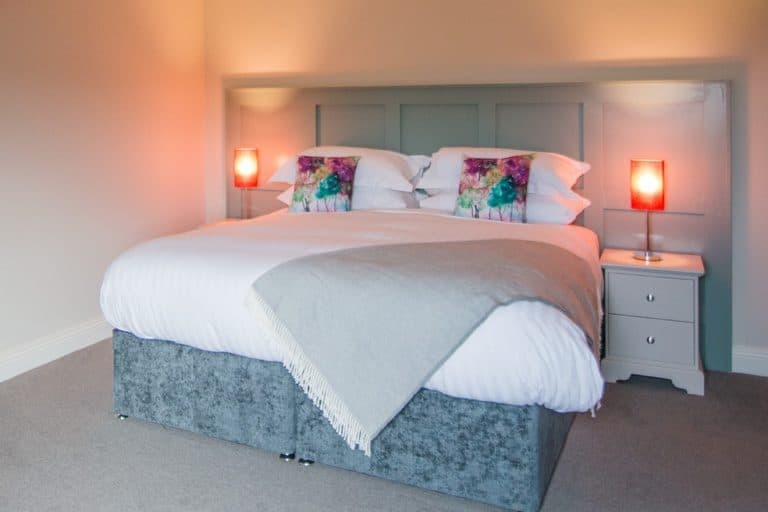 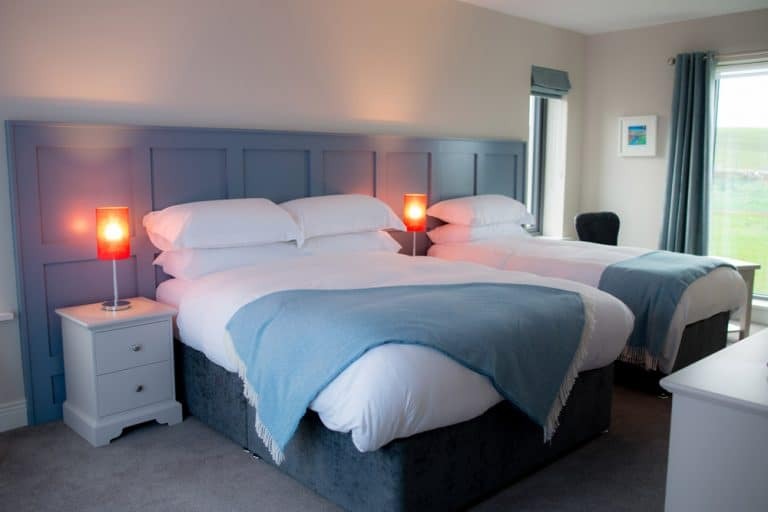 You will experience the smallest of pampering touches, thoughtful services, vibrant art, familiarity and comfort of a traditional Irish B&B, also the professionalism of a boutique Hotel. 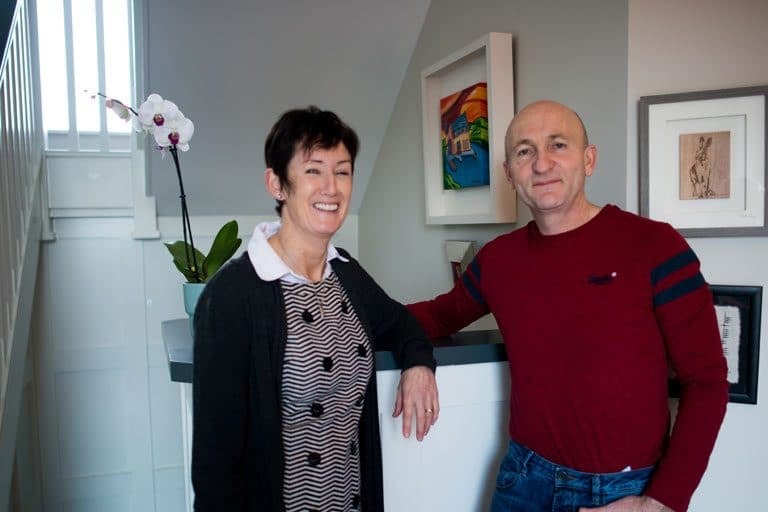 You will enjoy the hospitality of Frank and Marian Sheedy throughout your stay. 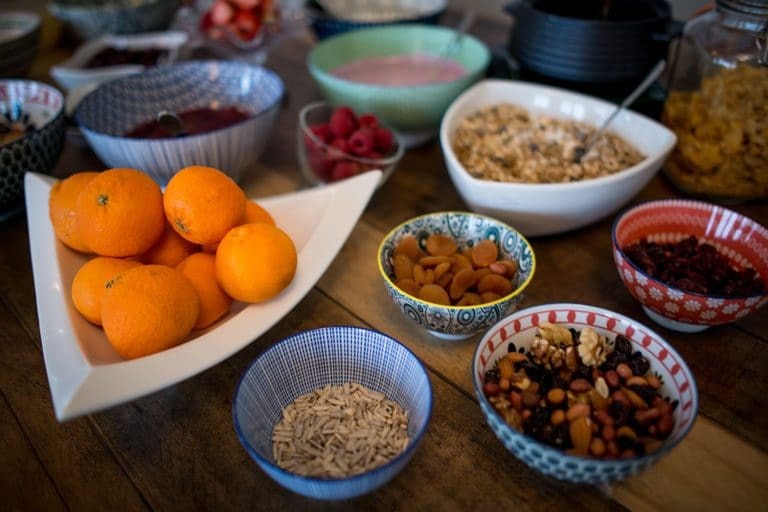 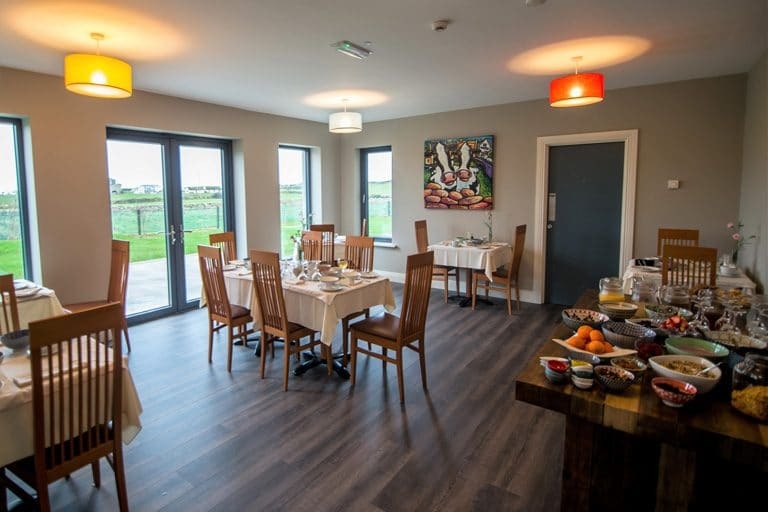 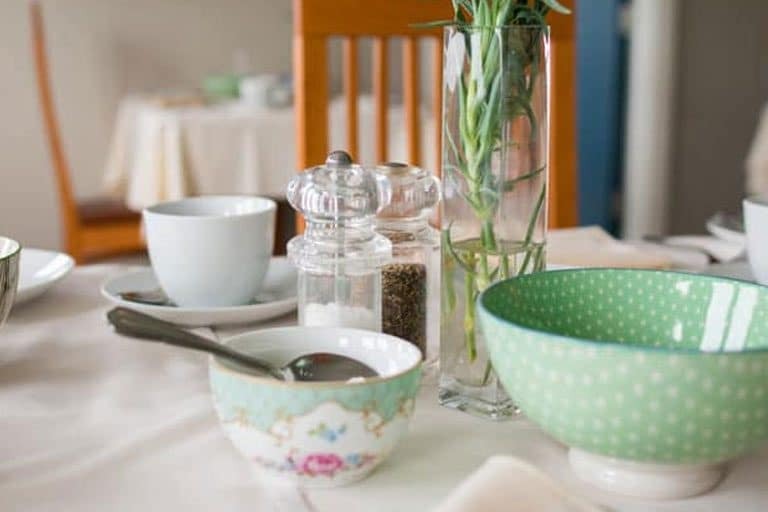 The morning breakfast consists of a full cold Buffet and an array of gourmet choices from the kitchen, all baked and prepared on site, ingredients which are sourced from local Clare providers.